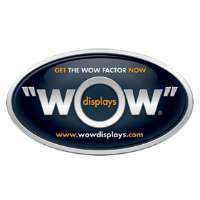 Wow displays - want to increase your bottomline today, why not let Wow displays digital and led display systems do it for you while you sleep. In a super competitive market you need to have a strategy to be seen and be the first company your prospective customers think of when they need your products. Highlight your products so your not feeding off the breadcrumbs, call Wow displays today to find out how we can give you the market leading edge against your competitors. Looking for high-quality Real Estate Displays in Double bay such as Digital & Led Corporate Signage, LED Real Estate Window Displays and Site & Project Consultation? Browse our products today or visit the leading Real Estate Displays in Double bay!